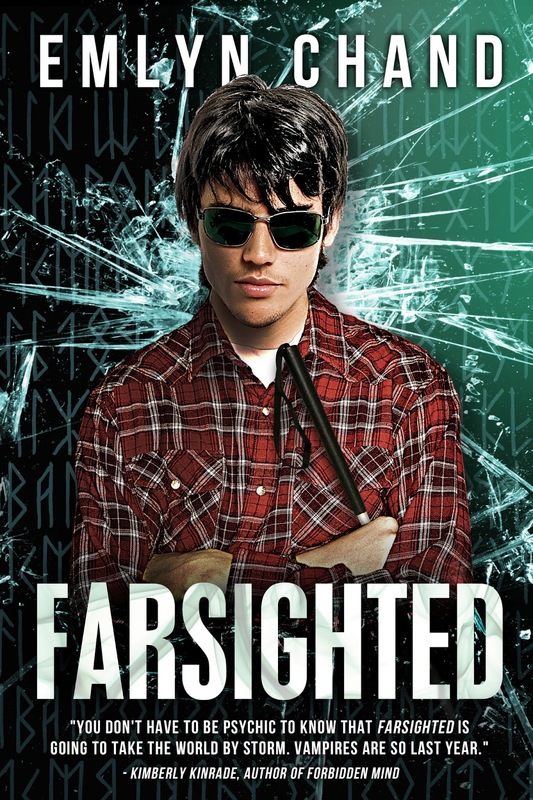 Blog Tour: Farsighted by Emlyn Chand – Review + Giveaway! Hey there everybody! Welcome to the tour for Farsighted and Open Heart by Emlyn Chand! This is going to be part of a special two part post on My Life is a Notebook! For more goodies, check out the tour schedule HERE. Today, we’re giving you our review for Farsighted! There’s also a GREAT giveaway for a KINDLE or a NOOK. That’s right! You heard me! Let’s get this party started! Maturity Level: Recommended for 13+. Some gore, violence, and kissing, but little to no sexual content. I’ve been reading a lot of self-pubs on my Kindle app recently, and I have to say that so far, I’ve been pleasantly surprised by the selections that I’ve made. Sure, there were a couple of duds, books that I could only stand about a chapter of— the stereotypical “bad” self-pubs, complete with bad formatting, an apparent lack of any sort of editor, and a definite lack of any real sales potential. Then, there are books like Angelfall and Farsighted—books that you could totally see showing up on a bookstore shelf and actually being better than 75% of their genre. These are books that have been self-published because that is part of the author’s artistic vision (see this post by Chand) rather than being self-pubbed because there is absolutely NO CHANCE of a major press EVER accepting them. The latter is what self publishing has become (and also, what people tend to think when they sit down to read an indie); the former is what self-publishing was to begin with and what it should continue to be. That said, on with the review! Alex Kosmitoras is an abnormal guy in a depressingly normal situation: his parents are struggling financially, and there’s a bully who seems to have it out for him no matter what. On top of that, he’s blind—and, apparently, able to “see” the future. Simmi is the new girl from India, who is not only the friendliest, most accepting person Alex has ever met, but also has powers of her own. Alex is starting to think that this is actually going to be okay—that he has a shot of being friends with Simmi (and maybe more)—when he starts having visions of Simmi dying in various terrible ways and vows to stop it. Overall, I really enjoyed this book. It paints a lovely tableau of multiculturalism against a small-town background; as someone who lives in a truly tiny town, I can appreciate this. Chand also manages to twine the paranormal element neatly into Alex’s everyday issues with school, parents, etc while drawing on mythological elements that made the 13-year-old-me-who-read-Edith-Wharton’s-Mythology-obsessively-for-about-a-year incredibly happy. There were points where the pacing seemed a little slow, but there were also times when I literally couldn’t put it down. It’s definitely a book that I’d recommend to people who are tired of the vampire/werewolves/angels that tend to overpopulate YA paranormals. Alex’s POV. I have a weakness for blind protagonists, especially those that are still major badasses. Which Alex definitely is. Simmi. I kind of fell a bit in love with her right alongside Alex, which made her a wonderful romantic lead for the book. Shapri. I might have fallen in love with Simmi, but I would definitely be more like Shapri. I liked how Chand handled her reluctance to admit to her gifts, and I loved that she was not “the bad guy” in Simmi and Alex’s relationship just because she had a bit of a crush on Alex. Nice. The runes and how they connect to the story. I’m actually incredibly interested in runes/tarot, so I loved reading the description of each rune and then figuring out how it connected to the chapter I was reading. Caffeine-assisted visions! I love explorations of how drugs/chemicals would affect theoretical psychic powers. Some of the transitions were a little choppy. Occasionally, Alex fails to take action that moves the plot along and waits for other people to move it along instead. It seems just a little OOC, since he spends the majority of the book being a badass, but it wasn’t enough to disrupt the book entirely, so it’s all good. 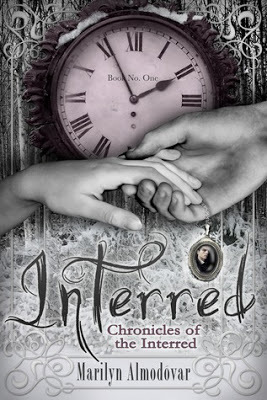 Star Rating on Goodreads/Final Grade: 3.75 stars, rounded up for GR. A-. Would reread, will definitely read other books in series. AND NOW FOR THE GIVEAWAY! You could win a Kindle or a Nook HERE! 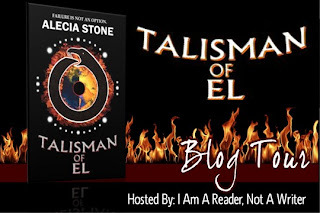 Blog Tour: Talisman of El – Tens List + Giveaway! 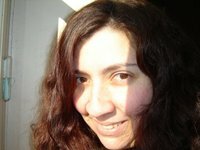 Alecia Stone is the author of Talisman Of El (Centrinian, 2012), the first book in the Talisman Of El trilogy. She graduated with a BA in Film & TV and has worked in television for a short period of time before branching out into storytelling. Alecia loves anything and everything paranormal. Her fascination with all things supernatural sparked her obsession with books, particularly young adult fantasy fiction, which she has never grown out of. She was inspired to become an author after reading Pride and Prejudice by Jane Austen at the age of fourteen. 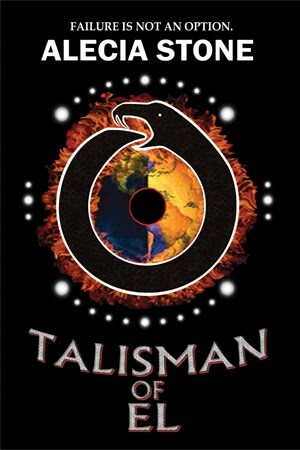 In 2008, Alecia started working on Talisman Of El, a contemporary young adult fantasy fiction inspired by people who disappeared mysteriously, including, but not limited to, Amelia Earhart and Percy Harrison Fawcett, who went on an expedition in search of an ancient lost city. When she isn’t writing, she enjoys going to the movies, listening to music, and travelling. Talisman Of El is her first novel. At present, Alecia lives in England, United Kingdom with her family. Okay, so I’ve been reading since … forever, so I’m sure there’s a huge list of books that have inspired Talisman Of El in one way or another, so how do I choose just ten books? Oh boy … Okay, so I’ll go through a list of books that I’ve either re-read or would read again because they are just that great. Here it goes. This book trailer reveal is hosted by I’m a Reader, Not a Writer! Have you never heard of this series before? Well, don’t worry, we’ve got you covered! 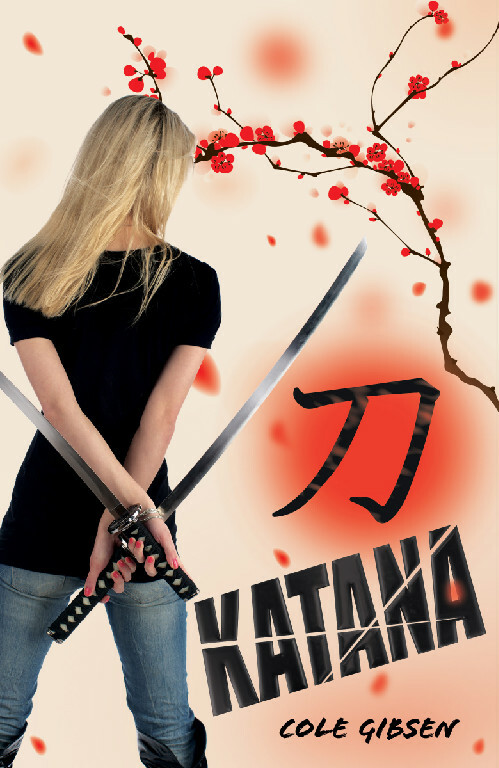 Let’s learn about the first book, Katana, Senshi itself and author Cole Gibson! Kill Bill meets Buffy in this supernatural samurai taleRileigh Martin would love to believe that adrenaline gave her the uncanny courage and strength to fend off three muggers. But it doesn’t explain her dreams of fifteenth century Japan, the incredible fighting skills she suddenly possesses, or the strange voice giving her battle tips and danger warnings. 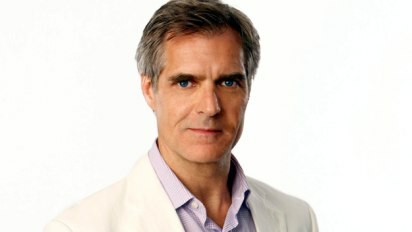 While worrying that she’s going crazy (always a reputation ruiner), Rileigh gets a visit from Kim, a handsome martial arts instructor, who tells Rileigh she’s harboring the spirit of a five-hundred-year-old samurai warrior.Relentlessly attacked by ninjas, Rileigh has no choice but to master the katana–a deadly Japanese sword that’s also the key to her past. As the spirit grows stronger and her feelings for Kim intensify, Rileigh is torn between continuing as the girl she’s always been and embracing the warrior inside her. When Cole Gibsen isn’t writing books for young adults, she can be found rocking out with her band, sewing crazy costumes for the fun of it, picking off her nail polish, or drinking milk straight from the jug — provided no one is looking. 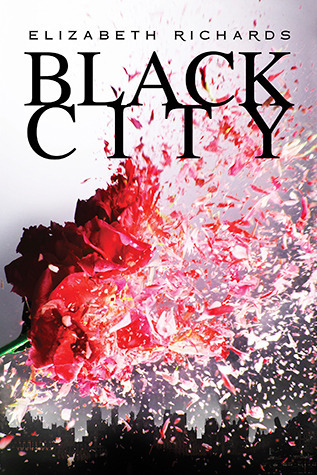 Blog Tour: “Black City” by Elizabeth Richards – Character Highlight + Giveaway! GoodChoiceReading has decided to do a giveaway that will remain open until the end of the tour. Everyone can copy and paste the Rafflecopter to add to their post. We are offering TWO FINISHED copies of Black City and TWO pre-orders of PHOENIX. So there will be two winners. Those who keep up with the tour and comment as they go (once a day) can enter. Click HERE to enter now! Welcome to the Second Chance Blog Tour! Like his name, Gray is dark and stormy. Dylan, a girl always searching for what’s next, seemingly unable to settle down, is the exact opposite: full of light and life. On the outside, they seem like an unlikely couple. But looks can be deceiving and besides, opposites attract. But staying in love is not as easy as falling in love. If Dylan and Gray want their love to last, they’re going to have to work at it. And learn that sometimes love means having to say you’re sorry. Can two drastically different, imperfect people be perfect for each other? It’s been four months since Gray and Dylan have seen each other. Dylan’s been traveling in Europe, while Gray has college, baseball, and a life rooted in one place. Gray’s determined to forget Dylan, the girl he fell in love with in First Comes Love. Besides, how do you make a relationship work with an independent loner? Just when he decides he’s over her, Dylan makes an unexpected entrance back into his life, hoping their steamy romance can start right where it left off. Gray realizes you can tell your mind to do one thing, but you can’t always convince your heart to follow. Dylan realizes she finally has to make a choice between freedom and her relationship with Gray. Hilarious, intense, inspiring, and emotional, Second Chance shows that love is a journey, and there are never clear road signs or maps to guide you along. You can only navigate with your heart. So now you’re hooked, right? You know you are. 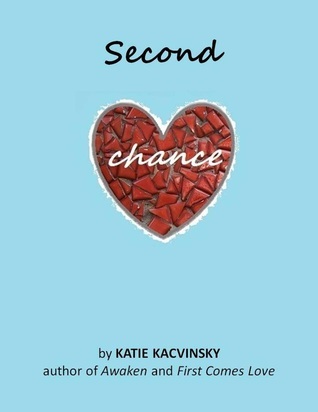 So let me help you out by giving you an excerpt from Second Chance! I stretch out on the leather train seat and sip the thick, rich coffee Europe’s famous for. I open my journal to a blank, white page. The paper looks like a canvas spread out, waiting for me to create a painting with words. Lately I’ve been thinking about love because it charges me and surrounds me and I crave it, follow it, live for it. Love is the only drug that’s healthy to overdose on. I think falling in love should come with a warning label: CAUTION—side effects may include sporadic singing in public (specifically Celine Dion covers), emotional intoxication, constant fool grinning, stomach flipping, eye twinkling, heart palpitations, sweaty hands, jittery feet, lack of sleep, giddiness, deep sighs of contentment, sexual fantasizing, uncontrollable bouts of happiness, and the need to help everyone else around you fall in love so they can experience this blissful state. Do not attempt to operate heavy machinery under the influence of love, due to lightheadedness and daydreaming. I close my journal and take a bite of a chocolate bar that’s cold from sitting next to the drafty train window. Chocolate has become my new best friend. It’s sweeter and creamier than chocolate in the U.S. Each bite is like dressing your mouth in sugary velvet. It’s almost as good as kiss. Maybe that’s why I crave it—it’s a dietary supplement for when I’m away from Gray. I peer out the window into a dark landscape dusted with lights in the distance, the city of Prague hovering in front of my fingers. I press my hand against the cold glass and try to connect the dots of the city skyline. Traveling gives me this natural high, like all my senses are heightened down to the end of my fingertips. I crave it like food, as if it’s what propels me forward, what nourishes my body. Traveling is like leaving one world that’s black and white and walking into another one drenched in color because everything is so new it becomes enchanting. The train starts to slow down as it approaches Prague’s station, and my feet tap anxiously on the ground. I can’t sit still. Maybe it’s the air—cold and dense and rich with mystery and texture. Maybe it’s the sense of this new city I’m about to meet, like a stranger I want to get to know. Maybe it’s the third cup of coffee I’ve had in the last hour. It’s amazing to think where adventure can lead when you trust your crazy ideas, when you’re bold enough to look at only what lies ahead of you. I don’t want the normal life. I don’t want to go to college because it’s the next practical step, just to join the pack, just to follow a leader. I don’t want to sit inside a room under fluorescent lights and study and read and memorize other people’s ideas about the world. I want to form my own ideas. I want to experience the world with my own eyes. I’m not going to follow my old friends to avoid the effort of making new ones. I don’t want to settle for any job just to get a paycheck, just to pay rent, just to need furniture and cable and more bills and be tied down with routine and monotony. I don’t want to own things because they’ll eventually start to own me. Most importantly, I don’t want to be told who I am or who I should be. I want to find myself—the bits and pieces that are scattered in places and in people waiting to meet me. If I fall down, I’ll learn how to pick myself up again. You need to fall apart once in a while before you understand how you best fit together. Few people understand what to make of me. The more people I meet, the more I’m realizing how rare it is to find someone who lets you be yourself. Who never tries to hold you back, but watches you ride out the wave of intensity and see where it takes you. Gray never held me back. He was like a drug. He lit me up like a catalyst, and I can’t go a day without thinking about him. Half of my journal entries are addressed to him. I take most of my pictures just so I can show him the places I’ve been. I’ve never missed anyone before. I try not to dwell on past memories; instead I focus on making new ones. But now I realize that distance is like a test. If you miss someone, it means you love him. It’s that simple. I can’t wait to see him again and tell him our story is just beginning. Destined for happily ever after. past me in the dark sky. My shoulders rock forward as the train grinds and brakes to a stop. I stretch my sore legs and roll my luggage into a filthy train station, but I’m filthy too, so I can’t complain. I grin at the atmosphere around me, the clattering sounds of languages I can’t understand, the bustle of passengers, people moving along with me like we’re all just cells, pushing our way together through a giant artery. I love meeting a city for the first time at night and seeing it dressed up with lights. It gives me time to imagine the rest of it before it greets me in daylight. I head towards the street entrance, hail a cab, and find myself on a cobblestone street in front of the Czech Inn Hostel. Even though we meet for the first time and I’m thousands of miles from anyone I know, I feel like I’m home. 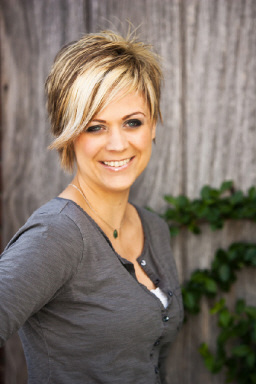 Want more information on Katie and her books? I’ve got some links for you! 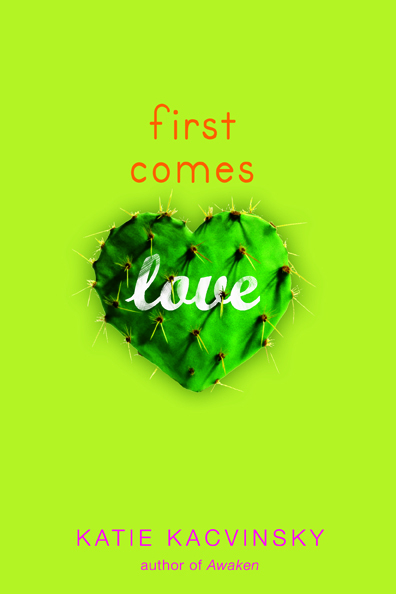 This giveaway is for a SIGNED hardcover copy of FIRST COMES LOVE. Interested? Then just follow THIS LINK!